Red carpet runners are a stunning addition for any wedding or event. Designed to create a beautiful walkway, it makes walking into an event or down the aisle leading to your beloved that much more special. Our range of red carpet runners are suitable for a range of events so if you are an event planner or wedding organiser looking for a stunning red carpet for something coming up, we will supply a high quality solution. Designed around your specific requirements, we tailor our red carpet runners to your exact specifications; no matter the shape, size or colour. Red carpet runners are perfect for almost any event and when accompanied with our range of carpet accessories, you get a quality solution that is designed to last while retaining its stunning look. All our carpets are professionally crafted to ensure they last and keep a beautiful look for as long as possible. Give us a call today on 01726 816572 and speak with a specialist today. We design and tailor our red carpet runners around your specific requirements ensuring you get a quality solution that best suits your planned event. All our red carpet runners are designed around your requirements. 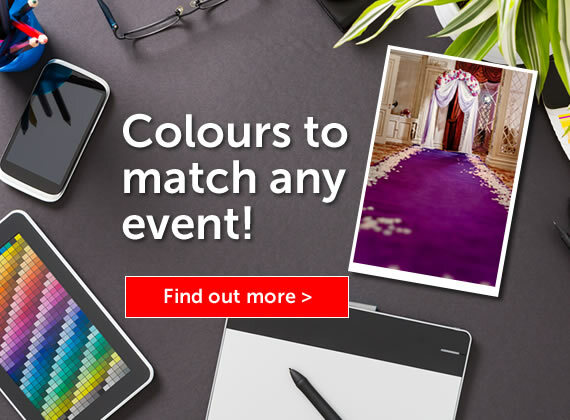 This means that no matter what size, colour or shape of carpet you require, we provide a quality solution that best suits the events you have planned. One of the main benefits of using our carpets is that they are perfect for multiple use. This means you can use the carpet, pack it away and get it back out again ready for the next event. We offer a range of accessories to go with the carpets as well to ensure they retain their good look for as long as possible. No matter the event in planning, our red carpet runners are always of the highest quality ensuring that when anyone is walking into the event or walking down the aisle for a wedding, they feel like a celebrity. Want something unique to your event? Speak with our experts. They are certain to design the perfect carpet for you. 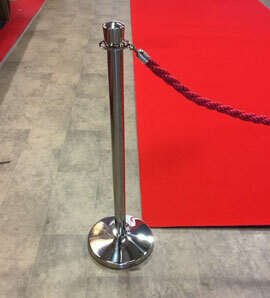 Our red carpet runners have been supplied to clients across Europe. No matter if it is a wedding set in France or a prestigious event here in the UK, we will supply you with a quality solution. Get in contact with us today and speak to the specialists behind our red carpet runners. They will be more than happy to provide you with any information you need and go through requirements.